With last year’s excellent Mortal Kombat X, developer NetherRealm Studios would most ostensibly work on its other franchise, Injustice that’s based on fictional universe of DC Comics – popularly known for the likes of Batman, Flash, and Superman. After all, it would be the only explanation for game director Ed Boon dropping hints on what to expect from the studio next, what with changing his Twitter display picture to the number 2 as Roman numerals. 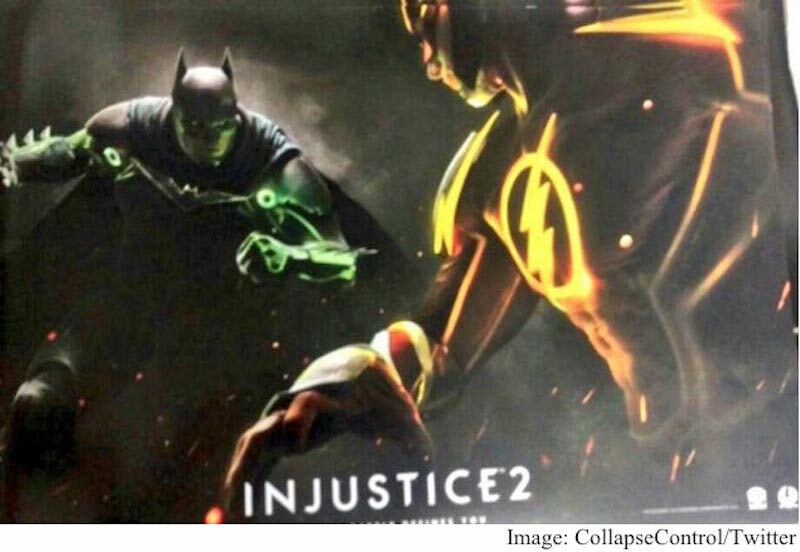 And now, an image of Injustice 2’s promotional material has hit the Internet. Safe to say if you were expecting Mortal Kombat 11 (as 2 in Roman numerals can be misconstrued as an 11) you’re going to be sorely disappointed. The promotional shot shows Batman in some variant of armour that’s either Kryptonite-infused or powered by the Green Lantern’s ring squaring off against Flash. There’s little else to go by and we won’t be surprised to see a full reveal at E3 2016. Injustice: Gods Among Us graced the PS3, Wii U, and Xbox 360 in April 2013, this was followed by an expanded Injustice: Gods Among Us Ultimate Edition for PlayStation 3, PlayStation 4, PlayStation Vita, Xbox 360, and Windows PC in November 2013. An iOS game was released in line with the initial release in April 2014 while Android gamers got something similar in November of the same year. Suffice to say a sequel will follow a similar release schedule. Something Mortal Kombat X did not shy away from. Expect more information from Warner Bros at E3 2016 next week, along with the unveiling of another leaked title, Shadow of Mordor 2.